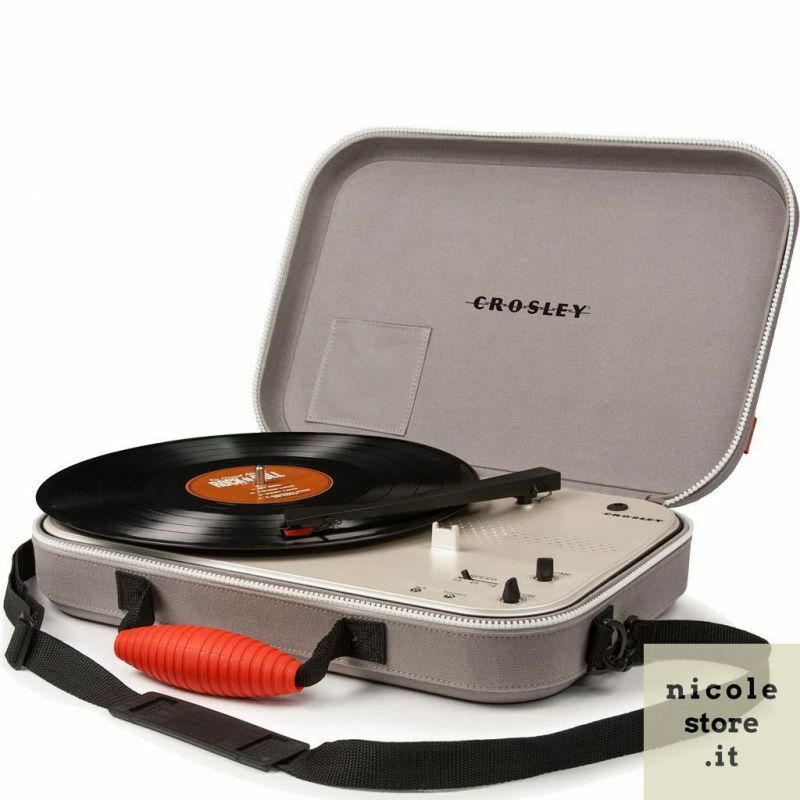 Not an ordinary shoulder bag and not your ordinary turntable. 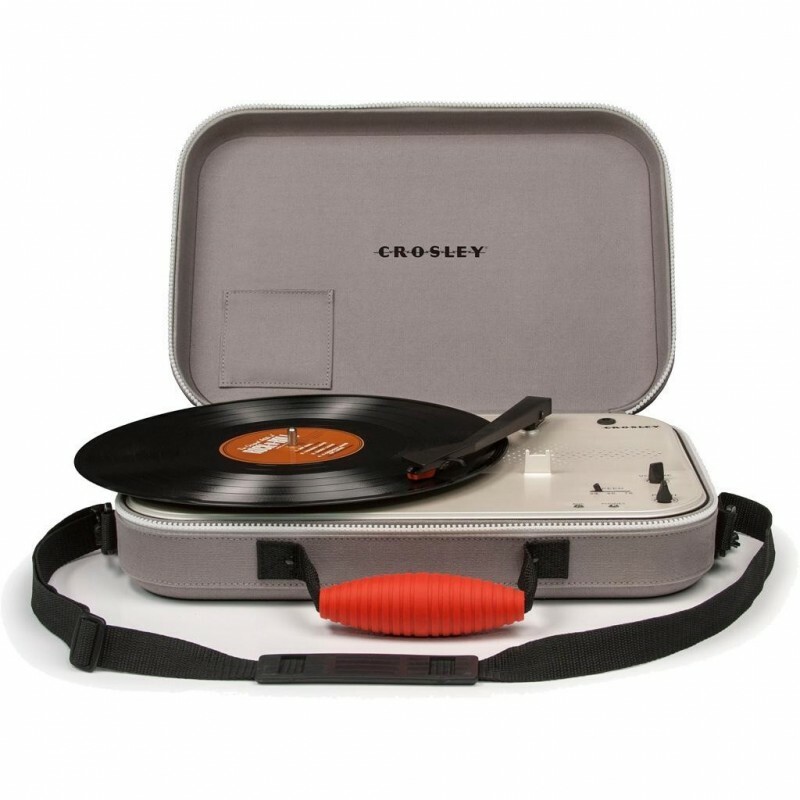 Urbanites and world travelers alike will love the classic look, functionality and features of this sturdy shoulder bag transformed into a turntable. By buying this product you can collect up to 119 loyalty points. Your cart will total 119 points that can be converted into a voucher of 3,57 €. 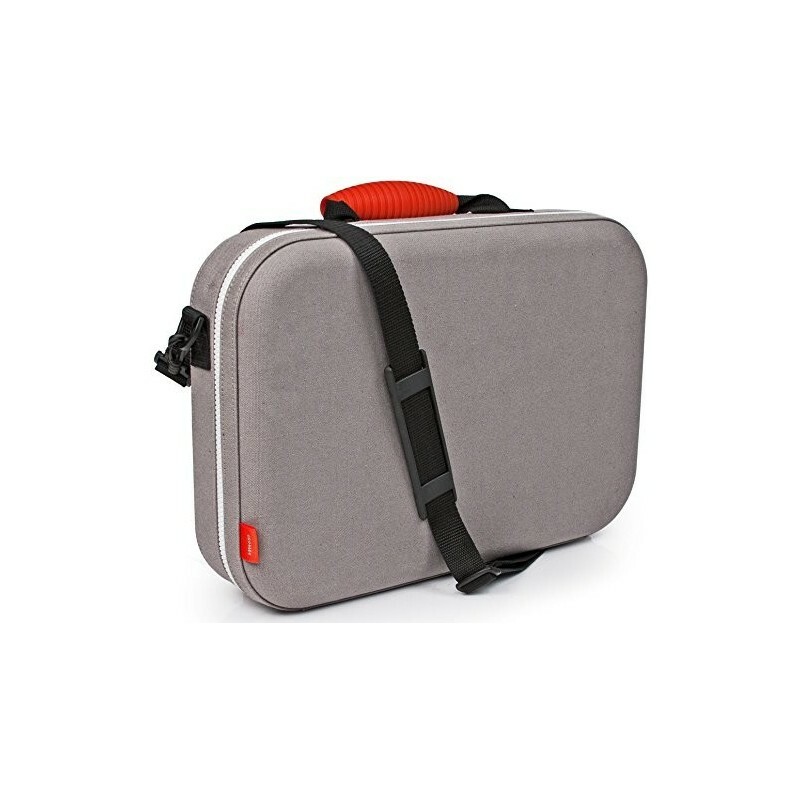 The Messenger is lightweight and easily transported from place to place with an adjustable shoulder strap for a comfortable fit. Equipped to play all 3 speeds of records and outfitted with an auxiliary input, providing limitless music-listening options. 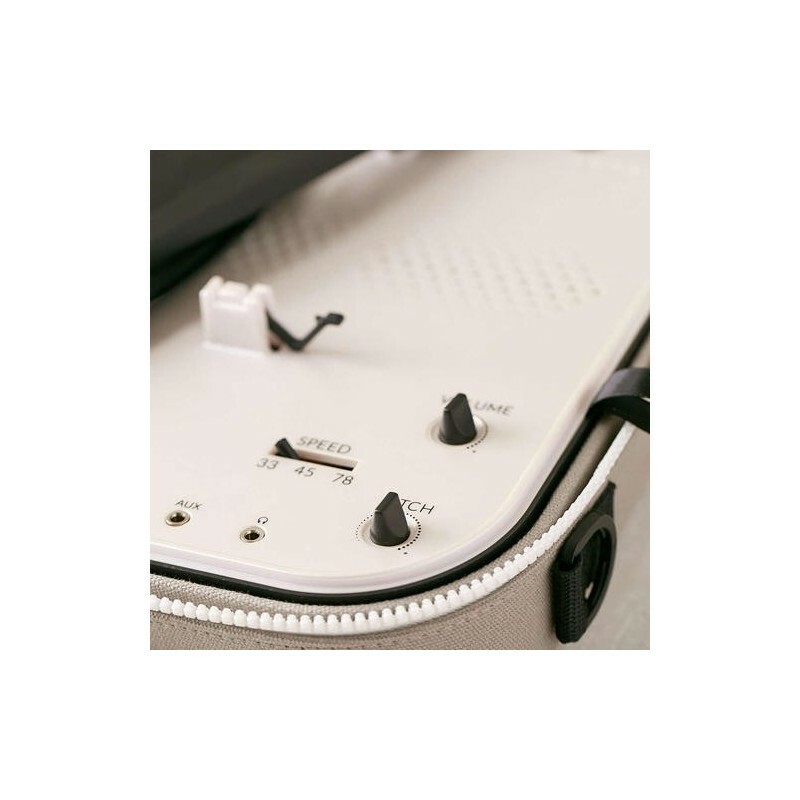 Connect to the headphone jack for a more personal experience or play your vinyl loud and proud through the built-in stereo speakers. 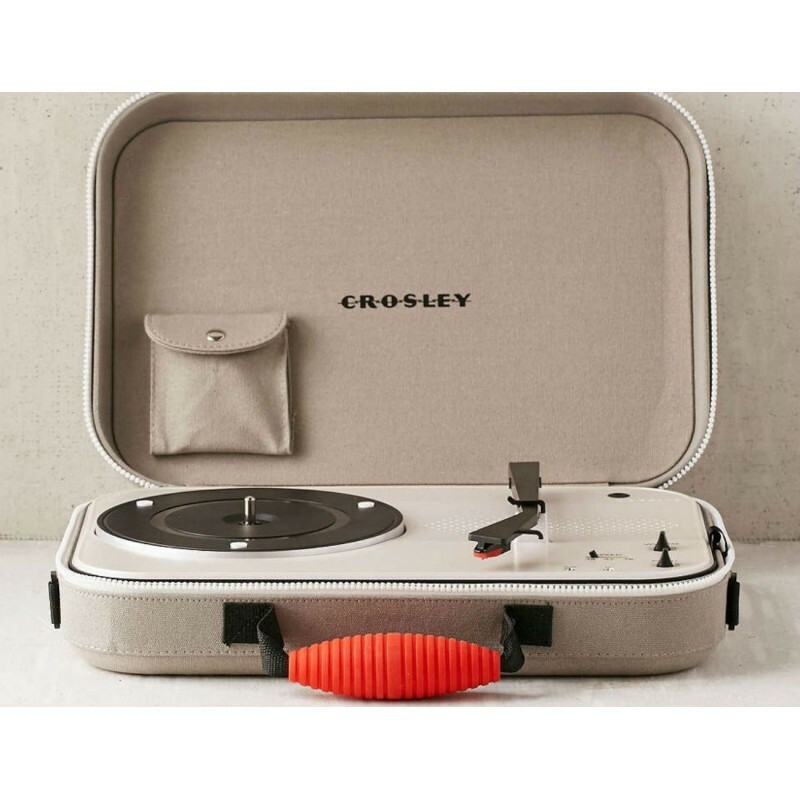 No matter where your travels may take you, the Messenger is a perfect turntable travel companion. 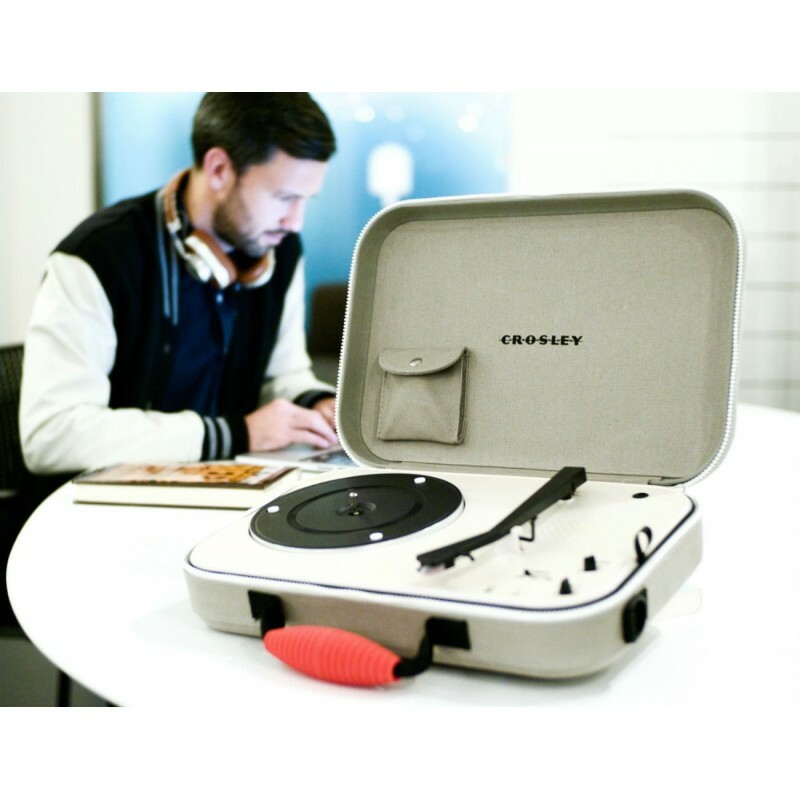 Take the warm and wonderful audio of a vinyl anywhere with Crosley’s innovative Messenger system. 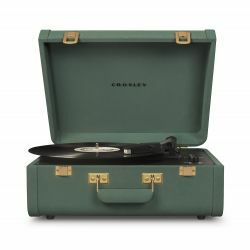 Styled like an over-the-shoulder satchel, this lightweight treat has a built-in speaker, three-speed turntable and pocket-space for three full-size albums. 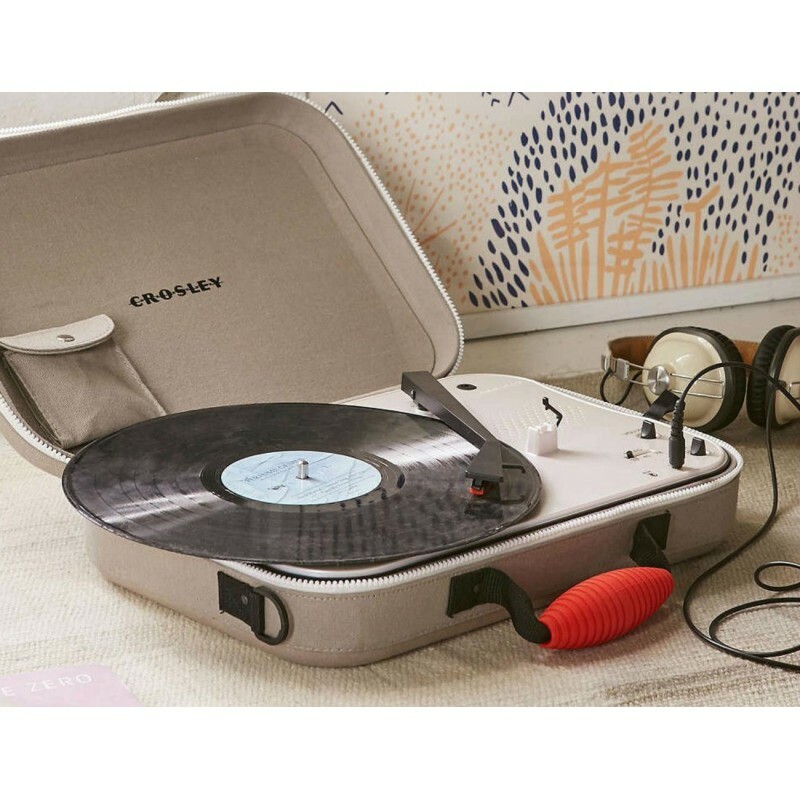 Whether you want to spin records in the park or your bedroom, this battery-powered product will deliver with crisp quality. Portable, stylish and sweet-sounding, the Messenger is a forward-thinking throwback with tons to offer. The Messenger may be a turntable with new ideas, but it still has the same vintage brilliance. As the belt-driven mechanism and diamond stylus needle play your records with fine accuracy, its 3-speed ability (33 1/3, 45 and 78 RPM) will make sure each vinyl gets the right treatment. 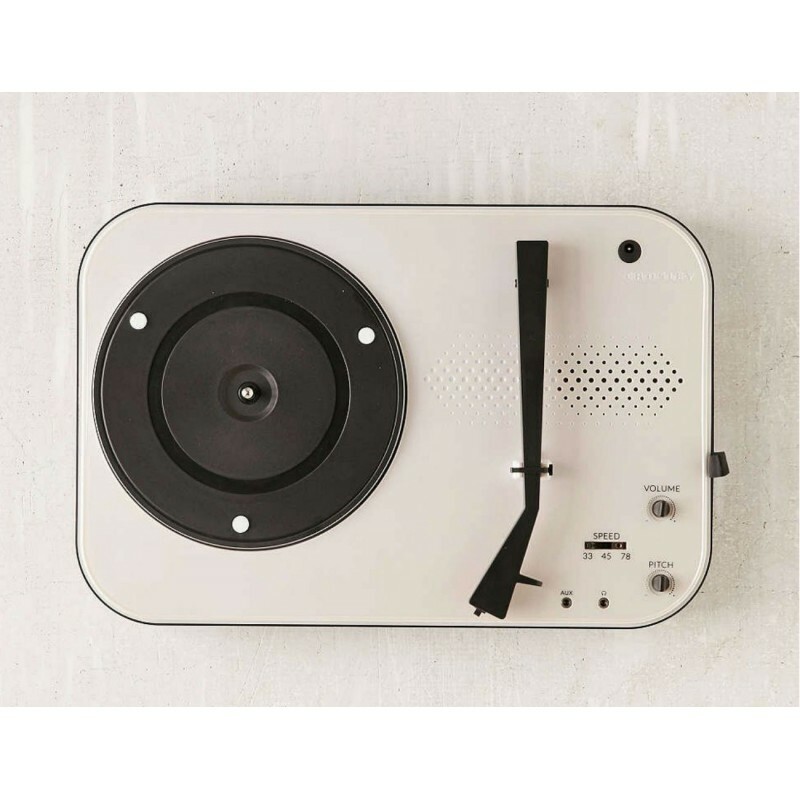 You’ll keep control with the Manual Return Tone Arm and play any LP you want with the 7”, 10” and 12” compatibility. With all this flowing through the dynamic full-range speaker, you’ll fall in love with your old records all over again. If you want to take your collection with you, just load this up with batteries (6 x AA batteries, not included), zip it up, throw it over your shoulder and head out of the door. Featuring a sturdy shoulder strap, grippy handle and super-light body, your music will go the distance. There’s even a pocket with space for up to 3 records. On top of all the built-in functionality, you’ll add even more with the ports. 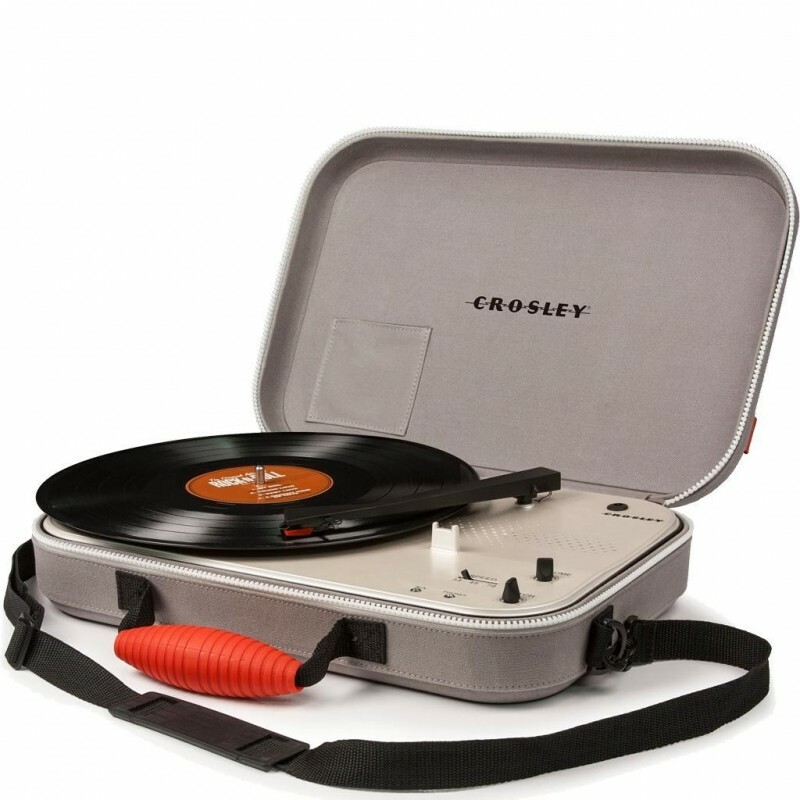 Use the Auxiliary input to play tracks from a smart phone or tablet and the headphone jack to listen to your vinyls privately.